Wheat & Weeds: Happy Christmas! 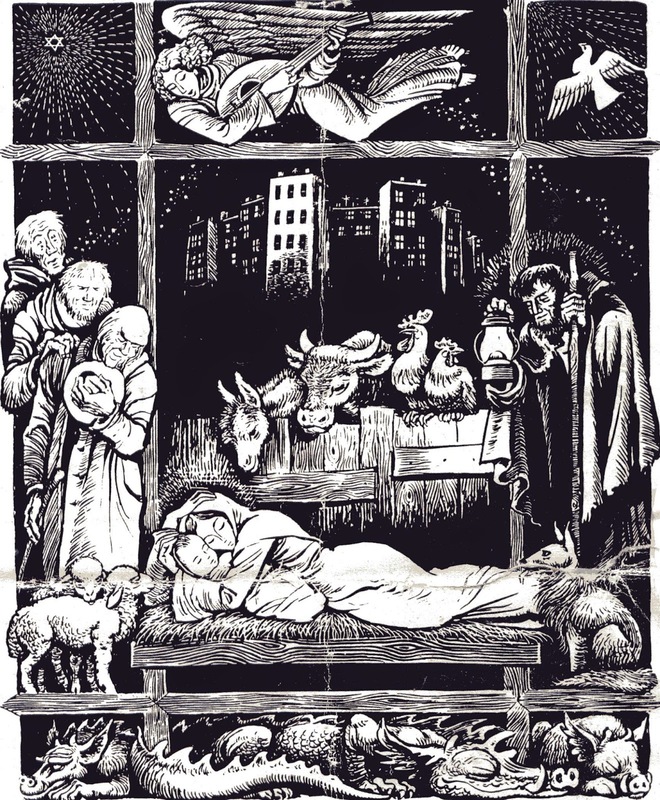 I'm in love with this woodcut because I've never seen a nativity with Mary cuddling Jesus the way a mom does a newborn. Also because the Star of Bethlehem is a Star of David, the shepherds are rough and yet have sweet faces, and even the dragons are at peace in the peaceable kingdom. Google search brings up several websites claiming this is an Eichenberg, but I am skeptical because it's completely different in style than anything else he ever did. Merry Christmas from the House of Weed to all of you in the House of Read.